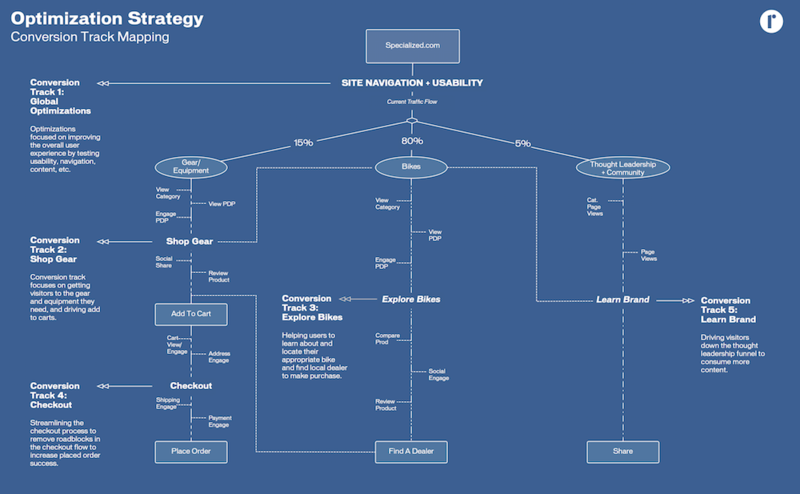 In our final installment of Optimization Deconstructed, we’ll wrap up our Specialized Bikes case study by discussing the importance of laying a strategic foundation on data insights, and how applying a data-driven optimization strategy ensures success. You can’t argue with results! With each optimization engagement, we begin by understanding our client’s customers: what motivates them, what makes them tick, and ultimately how the current digital experience either meets or lacks in meeting a users’s expectation. Our research, data gathering, and analysis phase comprises a unique blend of qualitative and quantitate data collection that best suits the digital experience and target market. For the case of Specialized Bikes, a mixture of user feedback, employee interviews, Google Analytics behavioral data, and a detailed heuristic experience audit laid the groundwork for highlighting key pain-points and opportunity for performance improvement through iterative testing. Over the course of this phase, each step helped paint a clearer picture of Specialize’s key customer base, which revealed influential and noteworthy customer segments. After identifying key audiences, we ran these customer segments through anticipated user journeys to identify gaps to see where the current experience met a user’s needs, and where a refined, updated or added feature would enhance a user’s experience. Each category was then prioritized in collaboration with the client, allowing an optimization roadmap to emerge – and a process for addressing all major pain-points in a systematic ‘test and iterate’ series of optimization campaigns. 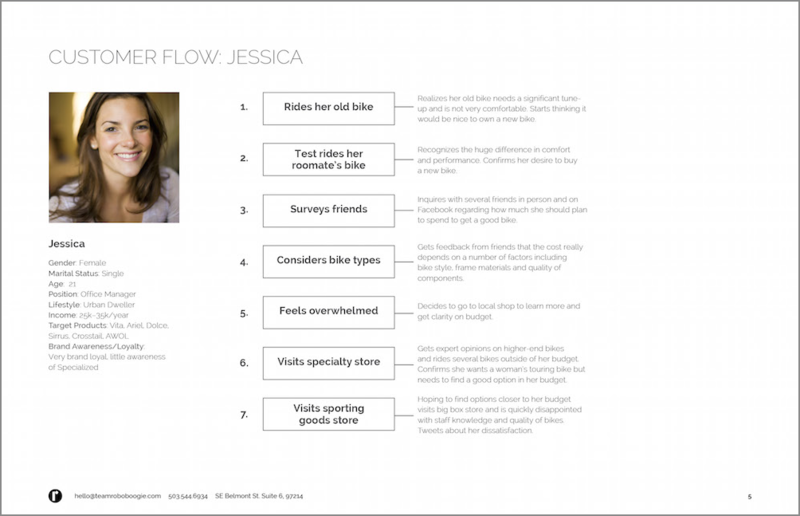 With prioritized efforts, and an established roadmap, it was time to get to work to map engagement points – noting minor and major conversions which we call “micro” and “macro” conversions, most frequented navigational paths, high-level traffic percentages, baseline performance metrics, and other notable insights. This Conversion Map becomes a living, breathing collaborative reference we use when working with clients to document new learnings and evolve strategy. (Note: the following Conversion Map below is a greatly stripped back version to protect proprietary industry findings and the privacy of Specialized). With a clear roadmap, an established optimization approach, and documented baseline performance metrics, it was time to get to work to develop a series of testable (or sometimes directly implementable) site updates for each of our campaigns. After a number of collaborative brainstorms with the client and internal test ideation sessions, we then narrowed down our focus areas to the concepts that were most likely to result in positive outcome of achieving business goals. With an attack plan, it was time to put our strategy into action. In turn, each site opportunity was addressed and solved for through UX enhancements, copy changes, content updates, and design changes – implemented via a testing platform (Optimizely in the Specialized case) or directly on site – and tracked user behavior to quantify impact. For a more detailed look into our overall optimization approach as well as design, experimentation and personalization processes, checkout parts II through V of this series! As new customer behavioral data and site performance metrics entered the picture, we added learnings to our audience profiles and adjusted strategy and campaign priorities. It is key to be nimble and listen to the data stories customers are telling to maximize campaign effectiveness. 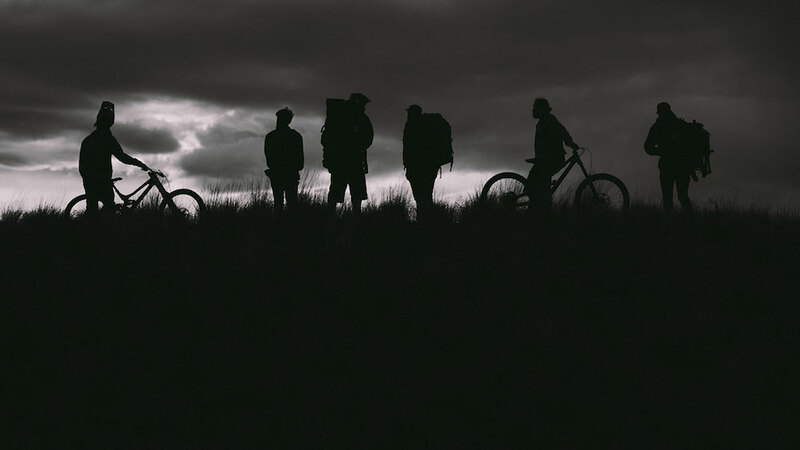 For Specialized, this included extending the testing campaign duration for navigation and gear shopping as priority over exposing users to more bikes and encouraging browsing behavior within their catalog. Another key campaign aimed to raise shopping site awareness by highlighting the shopability of Specialized.com as an eCommerce site and it’s differentiating benefits. Efforts included a redesign of iconography, cross-promotional products, integration of a featured product shopping strip on homepage, personalization efforts to reach specific product categories, and the introduction of ‘shoppable heroes’ to expose users to eCommerce paths in more locations around the site. At roboboogie, we stand behind the belief that optimization really shines when there is laser focus on achieving an experience that is best for the customer, as business results always follow, because Happy Customers Convert. We hope this series has given a comprehensive look into our process, with some real-life examples, and tactics to inform and improve your optimization process. Thanks as always to the wonderful folks at Specialized! Interested in learning more about our process or how we can help you implement or improve your optimization process? Send us a note, we’d love to hear from you. Don't forget: Optimize those URLs!